So many of us booksellers are here because of one special bear, whose tales spurned us on into reading and our love of books. Michael Bond’s wonderful stories of Peru’s most famous – and certainly most principled – bear have enchanted children for some six decades. Now the stories of Paddington Bear are open to even the most youngest of readers, with this beautifully-presented illustrated Treasury. With six stories specially formatted to be read along, even the youngest members of the family can become part of Paddington’s hilarious and heartwarming adventures. Illustrated by the Rhode Island-based illustrator R.W. 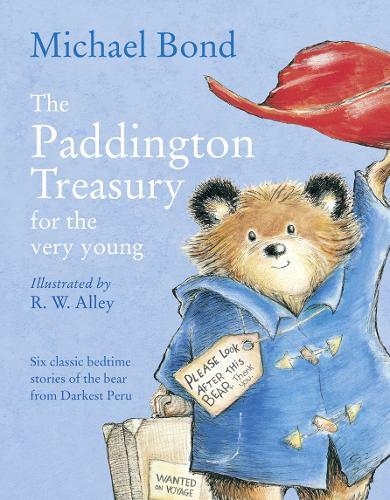 Alley (the only other artist to officially draw Paddington’s adventures after the retirement of Peggy Fortnum), this Treasury is the perfect introduction to a little bear’s world which will be cherished forever.